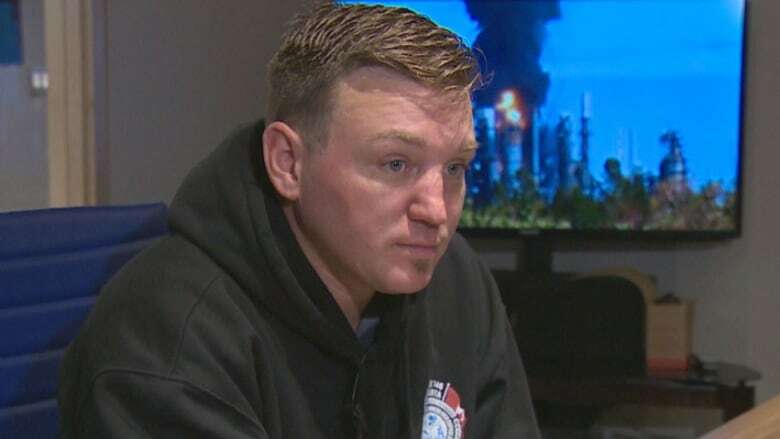 A boilermaker from Nova Scotia says he was rattled by the fiery explosion at the Irving Oil refinery in Saint John where he was working, but is ready to return when called, which could happen as early as today. Some of the contractors working on the turnaround maintenance project were back on site Tuesday night. The cause of the blast that sent at least five people to hospital still hasn't been determined and a WorkSafeNB investigation is expected to take a few months to complete. Terry MacEachern, who has been a boilermaker for 16 years and is a member of the International Brotherhood of Boilermakers Lodge 146 in Alberta, said he was surprised to hear they were called back so soon. "I know a lot of people are still [shaken] up by it and I think that there might be a few people that probably just aren't coming back." He said the blast caused chaos and was scary, pushing some workers into "panic mode." At first, it just sounded like a crane had dropped a load of steel and "everyone just kind of paused and looked at each other," wondering what had happened. Then all of a sudden, "there was like a sonic boom." MacEachern, 36, who was about 180 metres from the origin of the blast, says the shockwave knocked him back a step. Other workers who were closer were "flung" three metres across the ground. "You could feel it literally right through your body. It was pretty intense." A black mushroom cloud filled the sky and flames shot 30 metres high. People were "sliding" down scaffolding and yelling, "Run, run run." 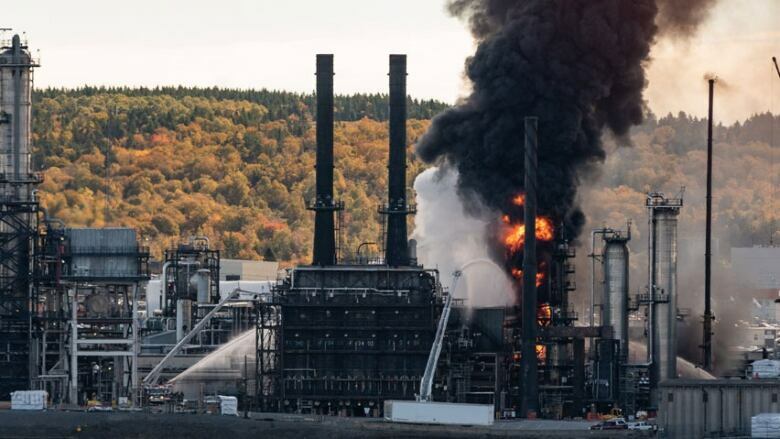 "Not knowing whether the rest of the plant is going to blow up or not, it's kind of a scary moment," said MacEachern. "When you're seeing 280-pound guys keeping up with you, you know it's go time." Despite the fear, everyone knew where to go and were quickly accounted for, said MacEachern, who is from Antigonish and has also worked in Newfoundland. He credited Irving Oil's detailed emergency plan, which includes a secondary muster point, and the professionalism of everyone involved — from management and union officials, to his co-workers and the firefighters he describes as lifesaving heroes. "They had some backbone to go into 160-foot [nearly 49-metre] flames in a live plant," he marvelled. "It's like someone standing with a match in a puddle of gas and saying, 'Please don't drop that. We're all standing in the puddle with you.'" Close to 3,000 people were working at the time of the explosion over the Thanksgiving holiday. About 100 of them were the normal operations crew, while the rest were tradespeople on a turnaround project, officials said. Five people were treated at the Saint John Regional Hospital for non-life-threatening injuries on Monday, the Horizon Health Network has said. But "the number seems to be growing," WorkSafeNB's assistant director of investigations Eric Brideau said Wednesday, after visiting the site Tuesday and meeting with employees. Brideau said he could not confirm the total number of workers injured. Irving Oil and Saint John Emergency Measures Organization (EMO) officials have previously said four workers were treated in hospital for minor injuries. MacEachern, who escaped injury, said the timing of the explosion was "crucial" to the casualties not being much worse. Because it hit around 10:15 a.m. AT, right before their lunch break, many workers were already climbing down from the towering pressure vessels, he said. Just five minutes earlier, they could have still been some 40 metres in the air, working right beside the blast Irving Oil believes originated in the diesel-treating unit, he said. Five minutes later, and up to 400 workers could have been walking across an exposed crosswalk, just 45 or 55 metres away from the explosion. MacEachern said he didn't sleep well Monday night, replaying the events in his head. "I've been through a lot of things but I mean, you never really expect something this big to happen, the magnitude. I'm just glad that people walked away from it." He said he thought it would be at least a couple of days before any work would resume, but he's comfortable about going back. "I'm sure the Irving family would never put us into a situation that they'd put us in … danger. "They wouldn't let us back into a refinery that they didn't feel was safe." WorkSafeNB began its onsite investigation into occupational health and safety issues Tuesday afternoon, but for safety reasons, the closest investigators could get to the blast origin was about 45 metres away, said Brideau. "Obviously the site is still what the employer is considering a hot zone, so it's still unsafe for us to attend," he said, referring to possible residual hydrocarbons in the diesel-treating unit that Irving Oil officials believe malfunctioned. The last "flare-up," or reignition, occurred around 9 p.m. Monday, according to the Saint John EMO. A crane that was heavily damaged in the explosion and subsequent fire could also pose a danger until it's disassembled, said Brideau. "They believe it was a mechanical failure … but it's just a theory at this point." The unit removes sulphur from diesel. 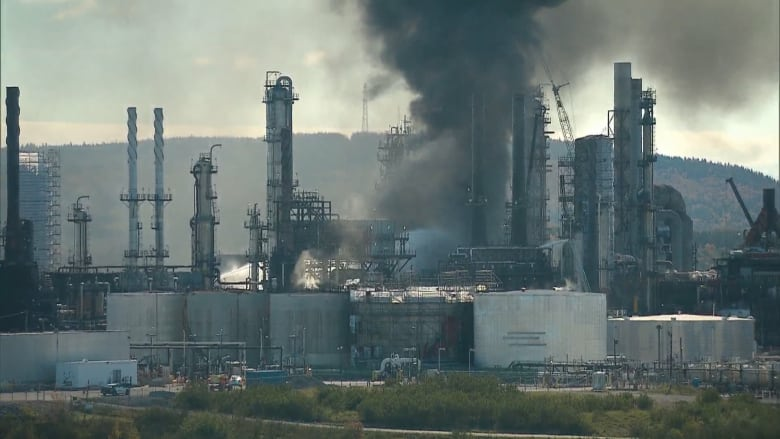 Brideau said he met with Irving Oil officials to gather some documentation and timeline information about the incident and the "somewhat complex" refining process. 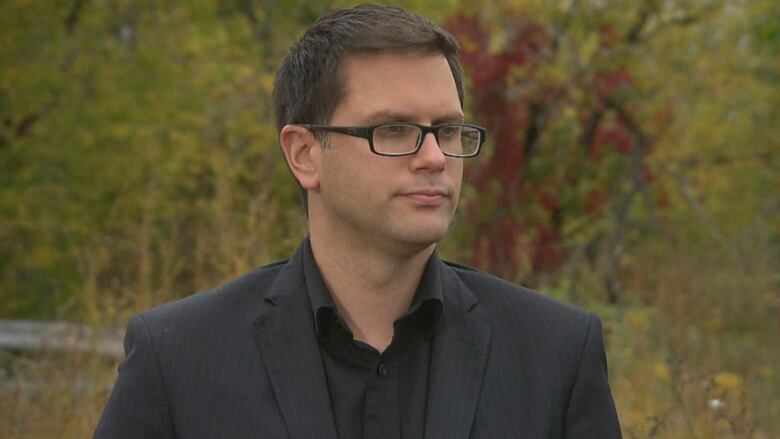 "One piece of the investigation is to understand that complexity and we will need obviously some assistance in that area," possibly from a WorkSafeNB engineer or others outside the organization, he said. "At this point we have almost everybody in the team involved in some capacity." It's difficult to estimate how long the investigation will take, said Brideau. "This one, I believe, it's a technical and complex investigation — we're talking months here. At least two, three months until it's finalized."